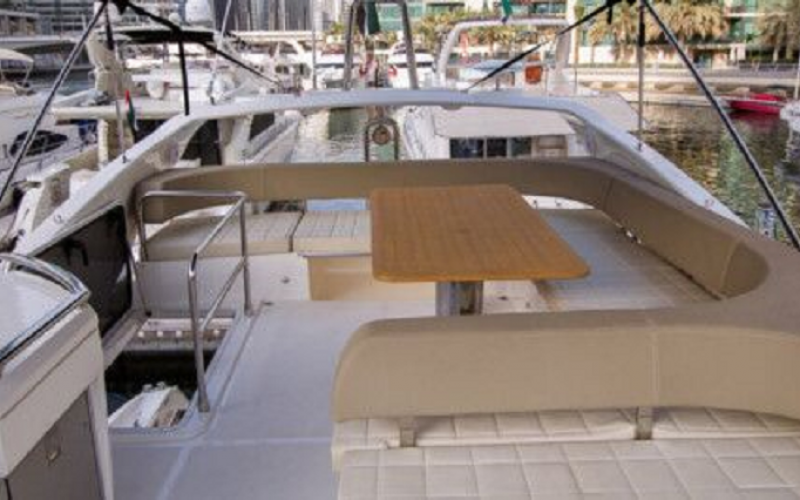 This Absolute 56 Fly is a classy combination of luxury, elegance and temperament. 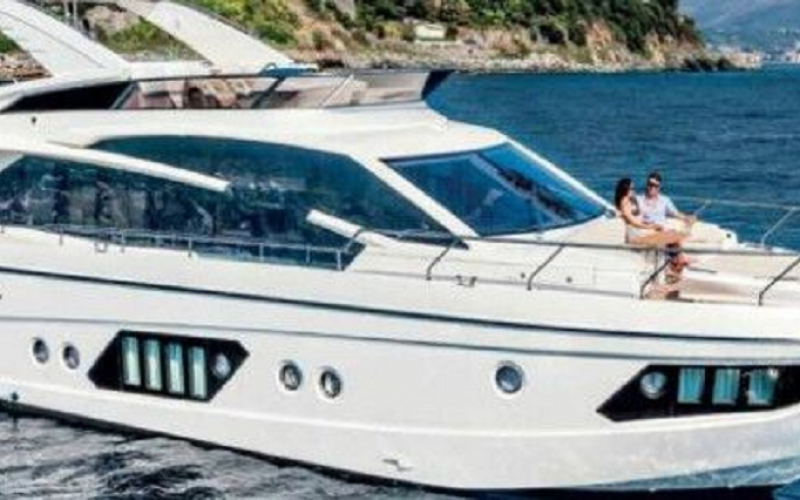 When you enter this yacht you will directly feel comfortable for sure. 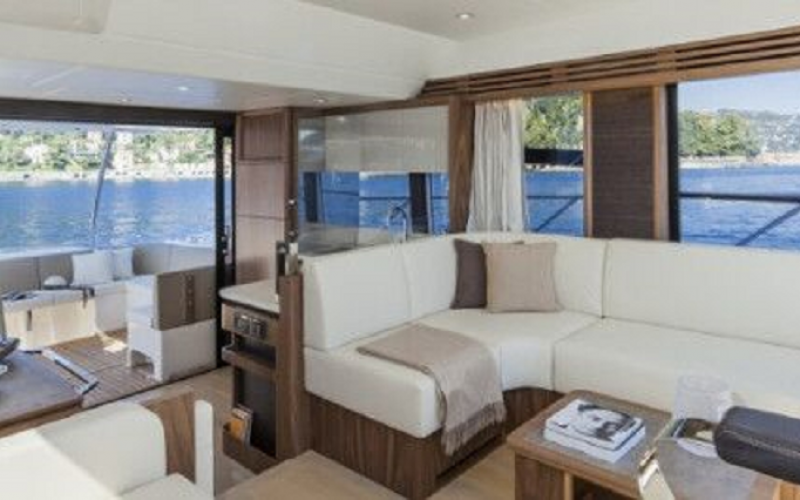 An impressive interior of 3 cabins, a full-equipped and stylish kitchen, a luxury flybridge and lots of sun cushions expect you aboard. Of course there are also towels, bedding, bathrobes and technical units like a ceran stove and an icemaker available for you. You will fall in love with the Absolute 56. You will have a lot of fun on the open water with the Jetski. This makes your trip varied. 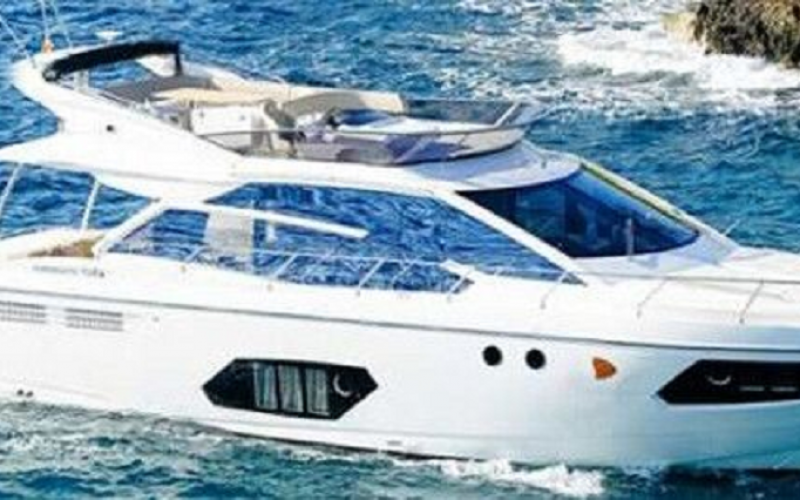 Just enjoy your stay on this exclusive yacht, appreciate every moment and get spoiled on the Absolute 56 especially with your boat rental in Mallorca. Prices include VAT. Prices exclude fuel costs. Prices include insurance.